We spent five days in Sydney. The first two were a fog induced by serious jet lag. We had a few days of iffy weather. And on Christmas Day, Sydney was a ghostland. So we could have come away with the wrong impression. Fortunately we got a day to remember yesterday. We started at the Opera House which I posted on yesterday. What a magical place that is. Then we headed out to the beaches and did the beach walk to Bondi and then headed back to Bronte for lunch. Along the way we got a bird’s eye view of the Sydney to Hobart sailboat race from the Bondi cliffs. That was something to see. Then back to Sydney (we took the bus everywhere and it works great) to go out to dinner ,which we did on the docks in Pyrmont at Flying Fish. We sampled some amazing seafood and watched huge tankers get pulled by tugs through the harbor. 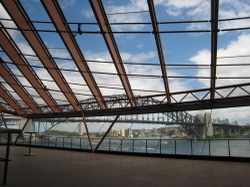 The Gotham Gal has a much longer post on our last and best day in Sydney with pictures. I love the way you can be in the city one minute and 20 minutes later you can be on one of the most beautiful beaches in the world. We’ve been to other cities like this, Rio, Los Angeles, Cape Town, etc. They are all very cool places. As the Gotham Gal said to me yesterday, we’ll be back to Sydney. 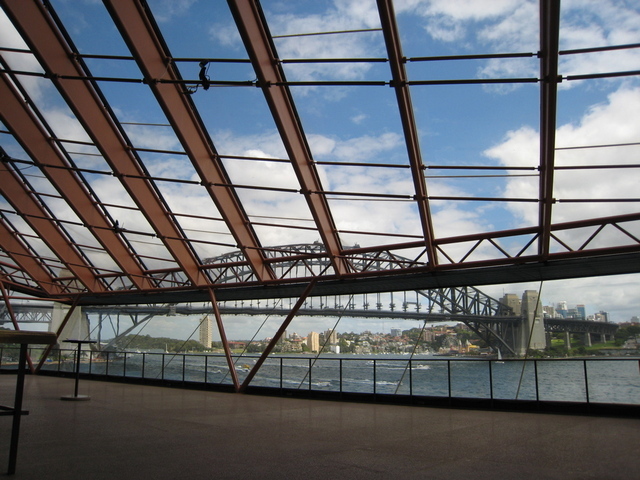 The things I want to do when we come back is sample some of the over the top “mod oz” foodie places which were all closed during our stay, get the Gotham Gal to the top of the Bridge Walk, and see something magical in the Opera House. Too bad it’s a 24 hour flight and 16 hours of time difference from NYC. It may be a few years before we get back to Sydney.